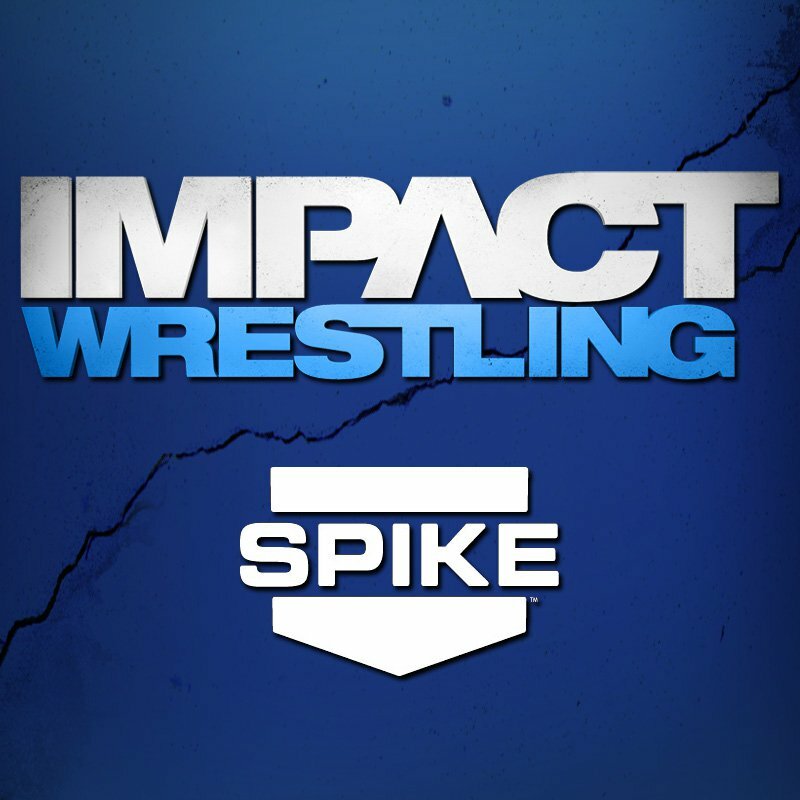 Jokers are wild on Impact Wrestling, as each of this week’s matches were contested under Jokers Wild tag rules (partners are chosen at random). Aces and Eights electing a new V.P. (was that D.Lo.? Does anyone care? ), and . . . maybe there’s a full house? No, this is TNA, none of that matters. “Rampage” Jackson is also the newest member of the Main Event Mafia and Chris Sabin turned in the X-Division title for a shot at Bully Ray’s World Title. It’s unsure how much that stuff matters, yet. Anyway, card game puns not withstanding, there’s still a Knockouts ladder match, so get pumped. Magnus and Mr. Anderson vs. Jay Bradley and Hernandez: In what was all but a handicap match, Magnus took on both Bradley and Hernandez, while Anderson refused to tag in (because he’s a bad guy, ya know?) Magnus is finally on the fast track to the main event, but Bradley really needs singles action, as many fans probably still don’t know who he is. Hernandez has put himself in tag team hell through his total lack of personality and Anderson may soon join him. Magnus won with the schoolboy. Frank Kazarian and Bobby Roode vs. Christopher Daniels and Austin Aries: Who would have guessed that Bad Influence would end up paired against each other? Alright everyone, put your hands down. While both teams worked well together, Daniels and Kaz did all they could to not engage one another, but after a flurry of action, Kaz would end up pinning Daniels. After a teased breakup, the two would hug and leave together. No. 1 Contender Ladder Match: Gail Kim vs. Taryn Terrell: Only TNA. Only TNA can cut to a commercial in the middle of what may be one if the most exciting women’s match in company history. Yes, with the show being pre-taped, the editing allows for no missed action…but it still breaks the viewers’ attention, and that plain stupid. Regardless, this may be one of the best pure ladder matches in a while. No silly ladder spots, each time the ladder came into play the women looked natural as the fought over it or threw each other towards it. But, as all ladder matches must have one memorable moment, Kim would “incapacitate” Terrell by TIEING HER HAIR TO THE RING ROPES. Awesome ordinary? Doesn’t matter, this is TNA. BFG Gauntlet Match: Magnus vs. Bobby Roode vs. Mr. Anderson vs. AJ Styles vs. Samoa Joe vs. Frank Kazarian: TNA continues to have no idea what a Gauntlet Match is, as AJ and Magnus begin the over the top rope Battle Royal. Kazarian would come out third and clean house (though two guys is more like an apartment), but no elimination would come. Joe entered fourth, allowing him to assist MEM partner Magnus. AJ would backdrop Kaz for the first elimination. Anderson would come in during the commercial break and, be vacate TNA has no sense of time, Bobby Roode would enter as the show came back from break. Anderson would clothesline AJ off of the top rope (much to Taz’s liking, as he still holds a grunge from AJ turning down the Eights). Joe and Anderson would tag each other over the ropes, leaving Roode and Magnus. The final two men must score a pin fall or submission for the match’s 25 BFG points, which Magnus would earn after a quick pinning counter.